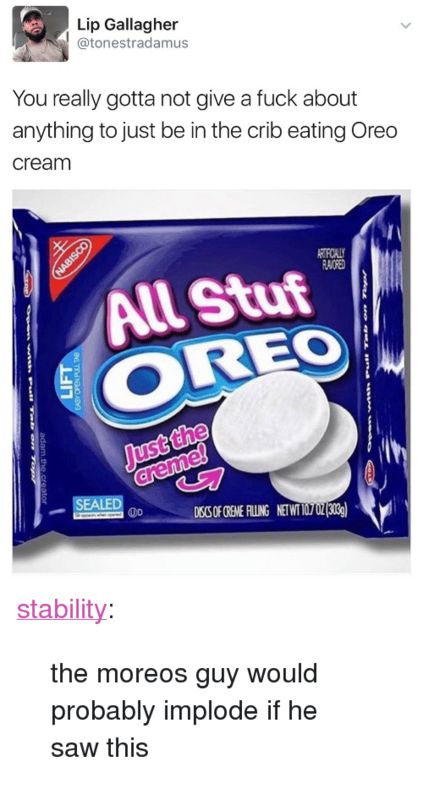 Should Oreos only offer double stuff? Was never a fan - the black cookie part is too dry. Chewy chocolate chip or nothing! i was hoping this was for oreo delivery. MINT OREOS FOR THE WIN! Back in my hayday, i could clean two sleeves of it in one go. May have gotten to 2 and 1/4 sleeves. That last sleeve though is tough. If it's the all crème version, I think i'd give up after 1 sleeve. Trader Joe's apparently has some Neapolitan version, one cookie vanilla, one cookie chocolate, with strawberry cream in the middle. Just go with regular. You can always make a double stuff. But you cant make a regular Oreo. Double up a Double Stuff. Does anyone remember the double stuffed peanut butter ones? The serving size was easily one box but I have haven't seen them in years. Did you eat them out of existence? Why do I want to brush my teeth and eat a cookie, mint is for tooth paste and chewing gun. Supply and demand, hopefully the more I ate the more they'd make. Apparently not.